We often don’t think of how our emotional state affects the actions and decisions we make. The truth is that our mental state often dictates the quality of our lives. The way you feel can cause you to take actions that you otherwise might not take. Learning to manage your emotional state can lead to much better decisions that create positive momentum in your life. Fewer downs means more ups or at the very least, a much more stable mood in your day to day activities. When it comes to women’s mental health in particular, more emotional management is needed. Women not only have bodies that experience frequent hormonal changes but in many cases also manage many of the days to day responsibilities of the family. 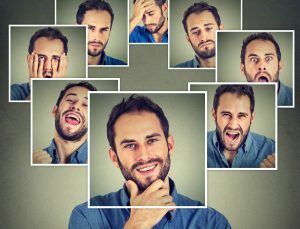 There is a huge amount of factors that can change your mood quickly, and result in bad decisions and the stress of dealing with the consequences of those actions. For example, you may snap at someone you care about, or worse, your boss. Those are usually decisions made out of fear. You can also make poor decisions resulting from good feelings as well, such as love. Love makes you vulnerable, and instead of stepping back and contemplating your decision, you might sacrifice your self-esteem to make someone else happy, when you need to put yourself first. The actions you take can have a direct effect on the next action you take, and so on. When you ride a wave of negativity, you will find it hard to get things accomplished and may begin to fixate on things that you have no control over. Sometimes, the pressure we feel in life can be overwhelming. There is often no break in life and we are taught to push through it all costs. Work, career, love and maintaining a social life. There may also be another important issue on top of it all. Perhaps a woman has trouble getting pregnant, and is suffering mentally because of it, that someone has received a negative medical diagnosis or have experienced a significant trauma in the past. What Types of Women Attend a Woman’s Mental Health Retreat? One of the most common feelings of women seeking help is the feeling of a strong disconnection to the reality of others. In other words, you may just not “care anymore”. Others experience excessive thoughts. Common feelings include shame, guilt, anger and low self-esteem. You might never feel that you are good enough for whatever it is you are engaged in. These feeling distort your thinking and lead to the decisions you may regret. Coping with these issues can cause any number of ways to escape, including alcohol, drug use, co-dependency, isolation, weight gain, and others. Getting treatment will afford you the opportunity to grow emotionally. This means that you will spend time identifying your issues and understanding the source of the discomfort. More importantly, you will learn coping skills, life skills and how to manage your thinking. You don’t have to feel lost. We all too often don’t take care of our mental health seriously. You don’t want to feel bad, but when the cycle becomes too powerful to manage on your own, you must muster the courage to get treatment. A mental health retreat for women only can offer you the compassion and expertise you need as a woman, instead of a “big box” recovery solution. Learning to deal with your ups and downs in a positive way can set you up for a lifetime of happiness, instead of a lifetime of misery.